Saving the Honeybee as Nature would have it! they settle, unfortunately man could not see it, the answer was in front of them, invisible, but in front of them. The answer is now below and very clear. International Bee Research Association (IBRA) Conference held at the University Of Worcester on the 29th January 2011. My name is John Harding, I have kept, researched, experimented, observed and used logic and common sense in trying to keep as much to nature as possible while keeping honeybees. During the last 30 years I have invented bee equipment that does bare my name. “I have not used sugar or chemicals for the past 18 years, due to the first approved licensed chemical treatments killing a percentage of my queens“. I hoped that one day I would find a natural remedy for the parasitic mite Varroa. This, I have now done. We know that honeybees have been on this planet for 100 to 200 million years depending which book you read, so honeybees have evolved with planet earth. 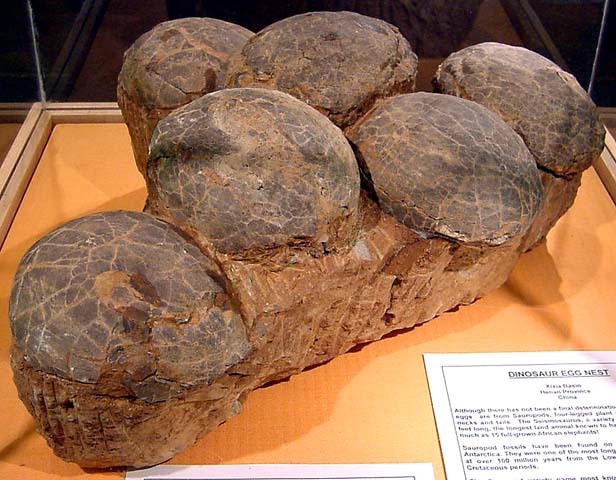 This has brought with it changing climates, polarity change, a change in continents with moving earth plates and a change in flora. 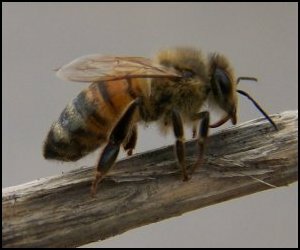 In all that time honeybees have been dealing with disease, mites, intruders and any other alien insect or animal, even man. During this time, their home has been in hollow trees, caves or covered protected position so they may get away from draughts, rain or severe weather to build their amazing honeycomb nest that is kept to an accurate temperature +or-1 degree to raise their numbers required for survival both in summer and winter. 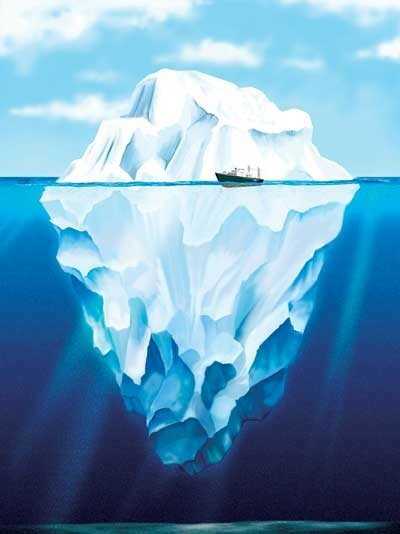 Has Man made a difference?………………..NO! Except for realising a unique space (Langstroth) that honeybees respect, meaning we as beekeepers can inspect our colonies with frames rather than killing off the bees, that were kept in a skep, then held over a sulphur pit to kill the bees just to get the honey. This observation only happened 150 years ago. Queen excluders were also invented. Are there any other major discoveries?………………..YES! Eddie Woods (a BBC sound engineer) discovered 60 years ago inside the honeybee nest that vibration levels was measured between 190 hertz and 250 hertz during normal conditions however when swarming this vibration went up to 300 hertz. Was any scientific work carried out at the time or later?……………….NO! If it had we could be further along the path of understanding the honeybee better. Beekeeping today is much the same as it was in the beginning except of course the Langstroth frame space, the Bee Dance (Von Frisch) and Queen excluder. The amount of knowledge we have gained about the mysterious honeybee, it always seems to be much the same, repetition, but more in depth, more of a scientific language. Can we still learn from the honeybee?………………..YES!…………….HOW? Using observation, common sense and logic and asking “What do honeybees really want?”. 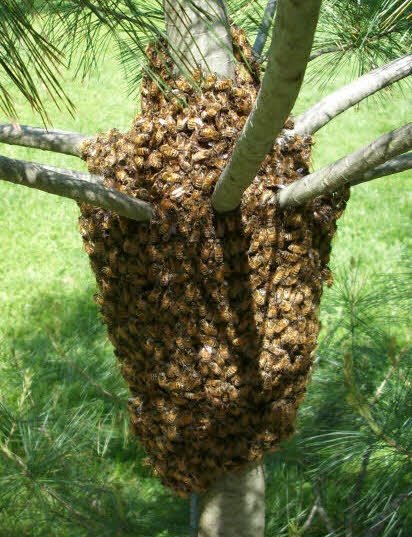 Honeybees did not ask to be put into a log, skep, box or beehive. So! What do honeybees really want?………..VIBRATION! How is this vibration generated and used? At the moment by the honeybees themselves, they use this to communicate, to ward off predators and to keep their micro existent climate to a perfect temperature of 96 degrees farhrenheit plus or minus 1 degree when rearing brood (young larvae), but is this amount of vibration sufficient? Unfortunately NO! Planet earth has evolved, so trees, animals, plants, fish, birds and insects has evolved with it and so too, honeybees, evolving with planet earth. Which is why honeybees not only need a high vibration of 250hertz to sustain their micro-environment but actively look for it when swarming. You cannot see, feel, touch or sense this low vibration but honeybees can. Planet earth vibrates an energy constantly at 7.83 hertz (NASA) unless disturbed. Honeybees use vibration to get their micro-climate between 190 hertz & 250 hertz (Woods). the following will no doubt happen. Honeybees will now have to work 31.9 times greater to get to their normal vibration levels of between 190 hertz and 250 hertz (Woods) just to stand still. “I have reason to believe this weakens them, their immune system and defense mechanism then becoming an easy target for any alien predators like Varroa“. Now, not being able to cope, over-stressed, disorder with eventual collapse, dying or disappearance is inevitable. However, in many cases, they swarm prematurely leaving behind a weak colony that will inevitably perish! (Poor queen cells resulting in small and weak virgin queens that may or may not get mated and still being overrun with varroa). Does planet earth vibrate an energy to the higher level of 250htz?…………..YES! Transmitted upwards through underground rivers and called Geopathic Stress Lines. These rivers are everywhere around the planet, like, i.e. ; blood vessels in our own body. Remember it has taken 4 billion years to get to where we are today. Everything has evolved together, for a reason, to be where it is and why it is there. The climate, planet earth and logic has dictated that over millions of years. Where does the higher earth vibration energy come from and how? Planet earths normal vibration energy of 7.83 hertz gets interrupted by hollow chambers of running water/fluid creating friction allowing oscillation to resonate to become an Electromagnetic Wave Vibration Energy which will increase it up to and above 250 hertz. The rivers/lines of fluid are normally very close to each other varies in-depth and only being up to 4 feet wide, like a cobweb, zig zagging their way across the planet at depths of 200 feet or 300 feet creating vibration and rising upwards to the surface and skywards, creating an electromagnetic energy curtain that reaches to about 30,000 feet. (Birds use this curtain to migrate thousands of miles). There are 14 rivers/lines in my 3 bed detached house and 80 foot garden, so they are not miles apart, but everywhere, in close proximity, around the planet. What is the connection between the honeybee’s vibration 250 hertz and Earth’s vibration 250 hertz? We know that honeybees maintain 250 hertz vibration within their nests (Woods). It is just a coincidence? Logically, bees are drawn to planet earth 250 hertz vibration energy when they swarm. Honeybees have “evolved” together with planet earth over millions of years, being drawn to the higher earth vibration energy, which is compatible to their own, giving honeybees less work to do, in getting to their optimum vibration within their micro-existent environment. Honeybees need this higher vibration energy so they work 31.9 times less. Then are able to deal with any unwelcome intruders, like the Varroa mite, hence why honeybees are drawn to it in various ways. 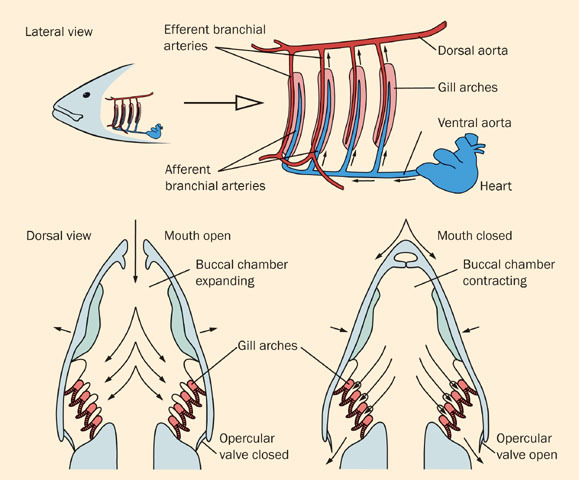 Are other species/organisms attracted to the higher vibration?…………..YES! All Honeybees, Wasps, bumble bees, Ants, Cats, Oak Trees and much, much more are all attracted to and found above earths higher vibration energy. All organism are attracted to or repelled from these lines of high or low energy vibration. Cats will always sleep on a vibration/energy line. Are honeybees drawn to Planet Earth higher energy vibration?………….. YES! Yes, every time they swarm. Honeybees always settle above a 250 hertz energy line. This has been checked on every swarm collected, about 30, in the past 3 years. All wasps nest and bumble bee nest have chosen these energy lines when checked. Apiaries were left for 4 years to choose by for self-selection. After this time the only hives that survived, with little or no varroa were above a line, all the others had died. In my early days of queen rearing, I too thought I varroa resistant strain only to find out every one that showed these qualities was above a line. I could not understand why they were so poor when moved to a new site, having shown perfect qualities when in the original site. (This was before I knew about the lines). Any beekeeper that thinks he/she has a Varroa resistant strain. I can guarantee will always be above a line. They have not been killed off by Varroa, it was an assumption, not scientific. Beekeepers are to blame by putting hives in the wrong place where they die out with Varroa, so no swarms or feral colonies. The swarms that are successful in becoming feral colonies are still out there surviving. Reduced in numbers, yes, due to beekeepers, but they are always found above a line sometimes two lines crossing. This begs another question of why do they prefer two lines crossing if at all? which I cannot answer. I used science and lab conditions to find out these answers.These feral colonies should never be moved unless insisted upon by the homeowner. They will die if moved or taken, then put in the wrong position by man inevitable overdosed by Varroa. We are killing them thinking we are saving them. My apiaries have not changed during my beekeeping so observations have been made pre-lines, for queen rearing selection. During all these years Cleanliness, Varroa Resistance, Hygiene and Grooming have always been noticed to be far better than others within the same apiary not realising they were on a line. 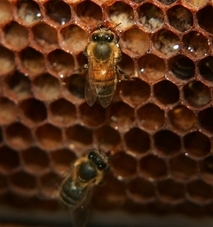 Honeybees can deal with Varroa when above a line. When above a GS line the honey yield is always 2 or 3 times greater. These colonies have tended to supersede and not swarm. Clearly they are in the right place so why swarm unless congested? “Is swarming induced by man?” being put in the wrong place by man. How long have honeybees been trying to tell us by swarming that we don’t like it here but would like to be over there where we settle? Case studies that will cost you nothing. Take 2 hives of similar size and queen (“A/B“), both infected with Varroa, place “A” above a line, place “B” away from the line. Hive B; after 6 to 8 weeks will still be heavily infected with Varroa and much weaker. Next season reverse these same two hives (if B is still alive) You will observe B becomes Varroa free and A is infected with Varroa. If you can use 2 apiaries within the same year, but far enough apart, the above exchange can be done after 3 months. Hive D will be as B, heavily infected with Varroa. Conclusion for both case studies………. It is not strain or queen quality but the positioning of the beehive, over an electromagnetic Geopathic Stress Line that vibrates energy at 250 hertz. Electromagnetic Geopathic Stress Lines once found can be verified by using a simple compass, it will show a few degrees disparity from normal. Metal structures under the beehive seem to influence these energy vibrations so it is not advisable to use metal stands or put beehives above a metal structure such as a metal structure building. Metal above the nest appears okay. I have been asked what about the metal Varroa screens below the hive, will that effect it? No! You will now not need it, because you wont have Varroa! Another question. Is it the honeybees dealing with Varroa or Varroa not liking the higher vibration? “This is where I need a Large Company (with an interest in Keeping Honeybees Alive or Organic Honey), University or Chemical Company for funding to help with Scientific Acclamation, Manufacturing a hand-held device, deal with media and promotions etc“. There will always be questions, especially to a way forward. I have the answer for that to! This is just one very important question answered to stop honeybees dying. (IBRA)VARROA-STILL A PROBLEM IN THE 21ST CENTURY? However, that is until it is scientifically proved then IBRA may or may not sanction my hypothesis, you will have to draw on your own conclusions. I invite modern research to confirm my hypothesis. If you feel the need to contact me then please do. 07974121472 or 01384423557 (Stourbridge, West Mids). The “Two Thumbs Up Award” goes to the Center of Biological Diversity and the the US Fish and Wildlife Service and an enlightened federal judge for helping save 757 threatened species. Thank you from Mother Nature and all of us at Nature’s Crusaders. TUCSON, Ariz.— A federal judge today approved a landmark legal agreement between the Center for Biological Diversity and the U.S. Fish and Wildlife Service requiring the agency to make initial or final decisions on whether to add hundreds of imperiled plants and animals to the federal endangered species list by 2018. The court also approved an agreement with another conservation group that it had previously blocked based on legal opposition from the Center. The Center wrote scientific listing petitions and/or filed lawsuits to protect the 757 species as part of its decade-long campaign to safeguard 1,000 of America’s most imperiled, least protected species. Spanning every taxonomic group, the species protected by the agreement include 26 birds, 31 mammals, 67 fish, 22 reptiles, 33 amphibians, 197 plants and 381 invertebrates. Individual species included in the agreement include the walrus, wolverine, Mexican gray wolf, New England cottontail rabbit, three species of sage grouse, scarlet Hawaiian honeycreeper (‘i‘iwi), California golden trout and Rio Grande cutthroat trout — as well as 403 southeastern river-dependent species, 42 Great Basin springsnails and 32 Pacific Northwest mollusks. The agreement, formalized today with the judge’s approval, was signed by the Center and the Fish and Wildlife Service on July 12. Already dozens of species have been proposed for listing, including the Miami blue butterfly, one of the rarest butterflies in the United States. While the agreement encompasses nearly all the species on the U.S. Fish and Wildlife Service’s official list of “candidates” for Endangered Species Act protection, two-thirds of the species in the agreement (499) are not on the list. This corresponds with the conclusion of numerous scientists and scientific societies that the extinction crisis is vastly greater than existing federal priority systems and budgets. 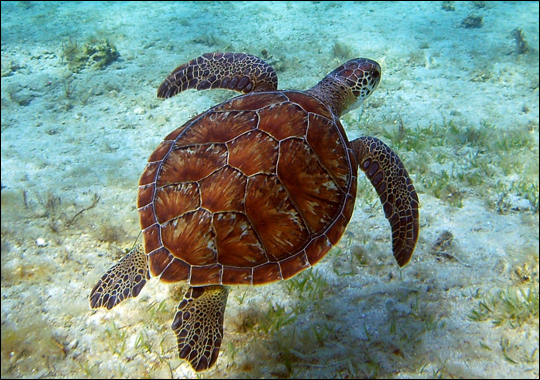 The species in the agreement occur in all 50 states and several Pacific island territories. The top three states in the agreement are Alabama, Georgia and Florida, with 149, 121 and 115 species respectively. Hawaii has 70, Nevada 54, California 51, Washington 36, Arizona 31, Oregon 24, Texas 22 and New Mexico 18. An interactive map and a full list of the 757 species broken down by state, taxonomy, name and schedule of protection are available here. American wolverine: A bear-like carnivore, the American wolverine is the largest member of the weasel family. It lives in mountainous areas of the West, where it depends on late-spring snowpacks for denning. The primary threats to its existence are shrinking snowpacks related to global warming, excessive trapping and harassment by snowmobiles. The Center for Biological Diversity and allies petitioned to list the wolverine as an endangered species in 1994. It was placed on the candidate list in 2010. Under the agreement, the U.S. Fish and Wildlife Service will propose it for protection (or determine it does not qualify) in 2013 and finalize the decision in 2014 if warranted. 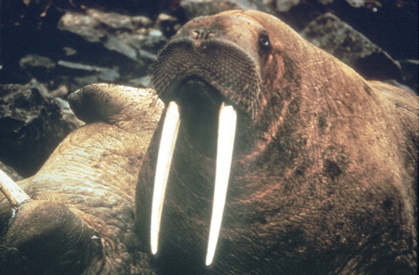 Pacific walrus: A large, ice-loving, tusk-bearing pinniped, the Pacific walrus plays a major role in the culture and religion of many northern peoples. Like the polar bear, it is threatened by the rapid and accelerating loss of Arctic sea ice and oil drilling. 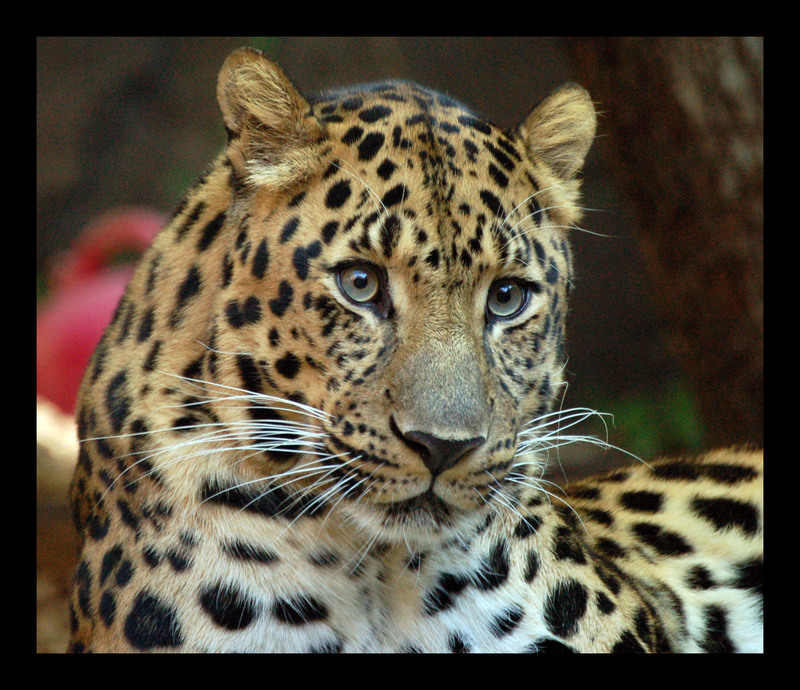 The Center for Biological Diversity petitioned to list it as an endangered species in 2007. It was placed on the candidate list in 2011. Under the agreement, the U.S. Fish and Wildlife Service will propose it for protection (or determine it does not qualify) in 2017 and finalize the decision in 2018 if warranted. Mexican gray wolf: Exterminated from, then reintroduced to the Southwest, the Mexican gray wolf lives in remote forests and mountains along the Arizona-New Mexico border. It is threatened by legal and illegal killing, which has hampered the federal recovery program, keeping the species down to 50 wild animals. The Center for Biological Diversity and allies petitioned to list it as an endangered species separate from other wolves in 2009. It is not on the candidate list. Under the agreement, the U.S. Fish and Wildlife Service will propose it for protection (or determine it does not qualify) in 2012 and finalize the decision in 2013 if warranted. Black-footed albatross: A large, dark-plumed seabird that lives in northwestern Hawaii, the black-footed albatross is threatened by longline swordfish fisheries, which kill it as bycatch. The Center for Biological Diversity and allies petitioned to list this albatross as an endangered species in 2004. It is not on the candidate list. Under the agreement, the U.S. Fish and Wildlife Service will propose it for protection, determine it does not qualify, or find that it is warranted but precluded for protection in 2011. 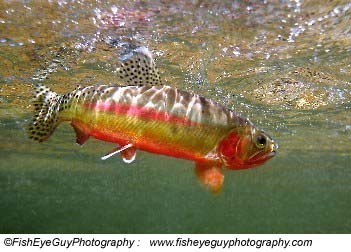 Rio Grande cutthroat trout: Characterized by deep crimson slashes on its throat — hence the name “cutthroat” — the Rio Grande cutthroat is New Mexico’s state fish. It formerly occurred throughout high-elevation streams in the Rio Grande Basin of New Mexico and southern Colorado. Logging, road building, grazing, pollution and exotic species have pushed it to the brink of extinction. The Center for Biological Diversity petitioned to list it as an endangered species in 1998. It was placed on the candidate list in 2008. Under the agreement, the U.S. Fish and Wildlife Service will propose it for protection (or determine it does not qualify) in 2014 and finalize the decision in 2015 if warranted. 403 Southeast aquatic species: The southeastern United States contains the richest aquatic biodiversity in the nation, harboring 62 percent of the country’s fish species (493 species), 91 percent of its mussels (269 species) and 48 percent of its dragonflies and damselflies (241 species). Unfortunately the wholesale destruction, diversion, pollution and development of the Southeast’s rivers have made the region America’s aquatic extinction capital. In 2010, the Center for Biological Diversity completed a 1,145-page, peer-reviewed petition to list 403 Southeast aquatic species as endangered, including the Florida sandhill crane, MacGillivray’s seaside sparrow, Alabama map turtle, Oklahoma salamander, West Virginia spring salamander, Tennessee cave salamander, Black Warrior waterdog, Cape Sable orchid, clam-shell orchid, Florida bog frog, Lower Florida Keys striped mud turtle, eastern black rail and streamside salamander. Only 18 of Southeast aquatic species are on the candidate list. Under the agreement, the U.S. Fish and Wildlife Service will issue initial listing decisions on all 403 plants and animals in 2011. Pacific fisher: A cat-like relative of minks and otters, the fisher is the only animal that regularly preys on porcupines. It lives in old-growth forests in California, Oregon and Washington, where it is threatened by logging. The Center for Biological Diversity petitioned to list the fisher as an endangered species in 2000. It was placed on the candidate list in 2004. Under the agreement, the U.S. Fish and Wildlife Service will propose it for protection (or determine it does not qualify) in 2014 and finalize the decision in 2015 if warranted. Cactus ferruginous pygmy owl: A tiny desert raptor, active in the daytime, the cactus ferruginous pygmy owl lives in southern Arizona and northern Mexico. It is threatened by urban sprawl and nearly extirpated from Arizona. The Center for Biological Diversity petitioned to list it as an endangered species in 1992. It was protected in 1997, then delisted on technical grounds in 2006. The Center repetitioned to protect it in 2007. It is not on the candidate list. Under the agreement, the U.S. Fish and Wildlife Service will propose it for protection (or determine it does not qualify) in 2011 and finalize the decision in 2012 if warranted. 42 Great Basin springsnails: Living in isolated springs of the Great Basin and Mojave deserts, springsnails play important ecological roles cycling nutrients, filtering water and providing food to other animals. Many are threatened by a Southern Nevada Water Authority plan to pump remote, desert groundwater to Las Vegas. In 2009, the Center for Biological Diversity petitioned to list 42 springsnails as endangered species, including the duckwater pyrg, Big Warm Spring pyrg and Moapa pebblesnail. None are on the candidate list. Under the agreement, the U.S. Fish and Wildlife Service will issue initial listing decisions on all 42 species in 2011. Scarlet Hawaiian honeycreeper (‘I‘iwi): This bright-red bird hovers like a hummingbird and has long been featured in the folklore and songs of native Hawaiians. It is threatened by climate change, which is causing mosquitoes that carry introduced diseases — including avian pox and malaria — to move into the honeycreeper’s higher-elevations refuges. 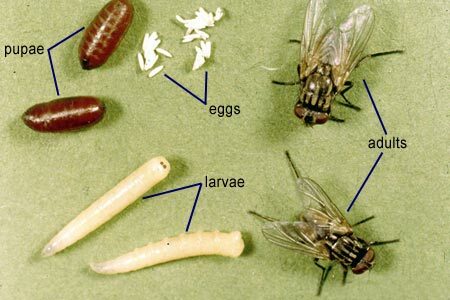 It has been eliminated from low elevations on all islands by these diseases. The Center for Biological Diversity petitioned to list it as an endangered species in 2010. It is not on the candidate list. Under the agreement, the U.S. Fish and Wildlife Service will propose it for protection (or determine it does not qualify) in 2016 and finalize the decision in 2017 if warranted. Ashy storm petrel: A small, soot-colored seabird that lives off coastal waters from California to Baja, Mexico, the ashy storm petrel looks like it’s walking on the ocean surface when it feeds. It is threatened by warming oceans, sea-level rise and ocean acidification. The Center for Biological Diversity petitioned to list it as an endangered species in 2007. It is not on the candidate list. Under the agreement, the U.S. Fish and Wildlife Service will propose it for protection (or determine it does not qualify) in 2013 and finalize the decision in 2014 if warranted. Greater and Mono Basin sage grouse: Sage grouse are showy, ground-dwelling birds that perform elaborate mating dances, with males puffing up giant air sacks on their chests. The Mono Basin sage grouse lives in Nevada and California. The greater sage grouse lives throughout much of the Interior West. Both are threatened by oil and gas drilling, livestock grazing, development and off-road vehicles. The Center for Biological Diversity and allies petitioned to list the Mono Basin sage grouse as an endangered species in 2005. It was placed on the candidate list in 2010. Under the agreement, the U.S. Fish and Wildlife Service will propose it for protection (or determine it does not qualify) in 2013 and finalize the decision in 2014 if warranted. The greater sage grouse was petitioned for listing in 2002 and placed on the candidate list in 2010. Under the agreement, the U.S. Fish and Wildlife Service will propose it for protection (or determine it does not qualify) in 2015 and finalize the decision in 2016 if warranted. was thought extinct after Hurricane Andrew in 1992 but rediscovered in 1999. It is threatened by habitat loss and pesticide spraying. It was petitioned for listing as an endangered species in 2000 and placed on the candidate list in 2005. The Center for Biological Diversity petitioned to list it on an emergency basis in 2011. Under the agreement, the U.S. Fish and Wildlife Service was required to propose it for protection (or determine it does not qualify) in 2012 and finalize the decision in 2013 if warranted. 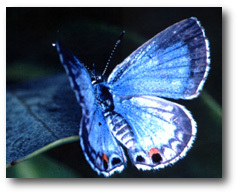 In August, the agency protected the butterfly on an emergency basis. Oregon spotted frog: The Oregon spotted frog lives in wetlands from southernmost British Columbia through Washington and Oregon to northernmost California. It is threatened by habitat destruction and exotic species.